It has been a wonderful Triduum here in Rome - although I was "down for the count" for one of the days. 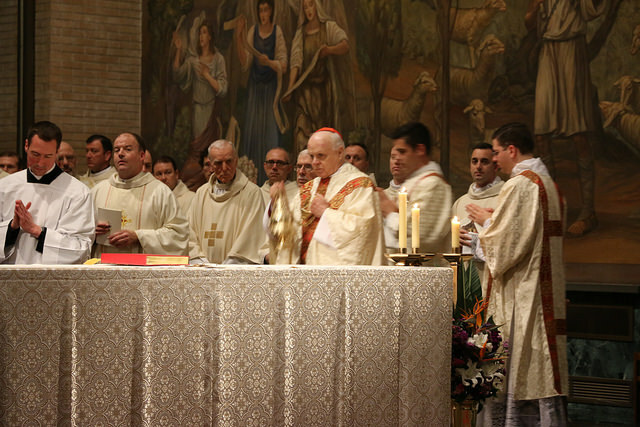 We had a wonderful celebration of Holy Thursday at the North American College (the American seminary here in Rome). 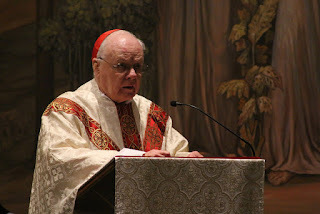 Cardinal O'Brien presided at the Mass. 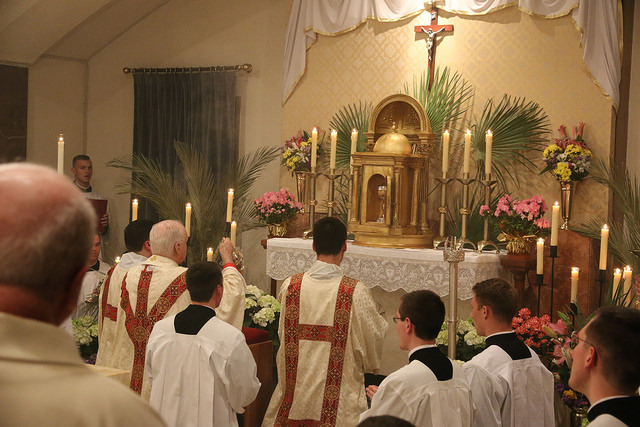 Although I must admit that the Mass brought to my mind just how much I miss being pastor of a parish. 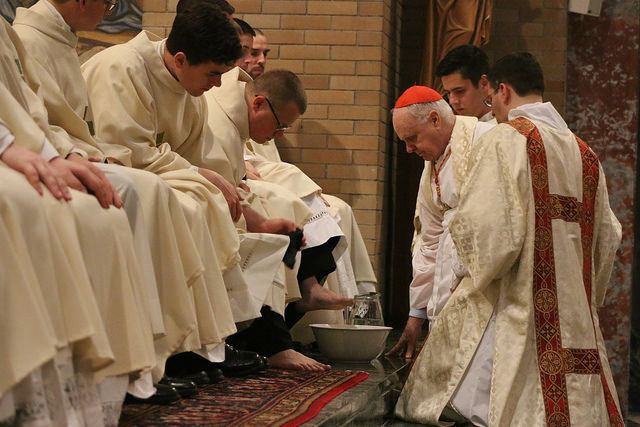 As the Cardinal was delivering his homily and as he was washing the feet of 12 of the 5th-year men (priests who were ordained last spring), I recalled my years serving as pastor of parishes at home... and how much I miss being in a parish. For a diocesan priest, it is our life. I look forward to the time when I will once again have the joy and privilege of pastoring a flock. 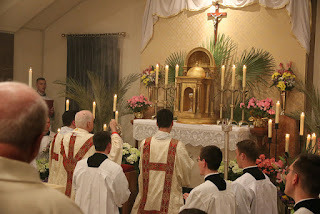 BTW - for all the people of the parishes I have served, every Sunday I offer Mass for all of you (quite literally, I offer Mass for all the people of the parishes where I have ever served: St. Francis of Assisi, St. Joseph (Hanover), Sacred Heart (Lewistown), St. Jude, St. Andrew, Our Lady of the Visitation, and St. Francis Xavier). You are remembered regularly in my prayers and my Masses. Here are some photos of the Mass. Can you find me? Look close! 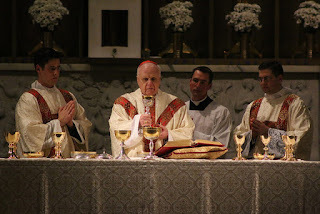 After Mass we had a lovely dinner and time of fraternity among the priests. 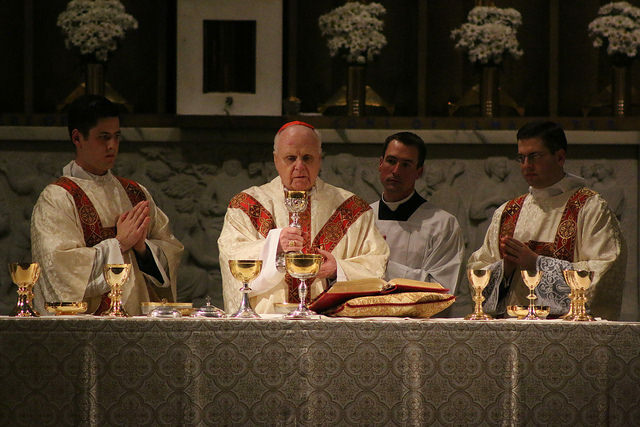 There is a wonderful group of men here serving the Church in various ways - and no matter where we are from, that priestly fraternity, originating on that first Holy Thursday, unites us as brothers. I am honored to serve along side them. Friday - Good Friday. More information than you need, but, I was really sick. Didn't even leave the house. First Good Friday I've missed in 22 years. I watched the Holy Father on TV (yes, we can actually watch events at St. Peter's on TV here). Enough said. Let's move on. 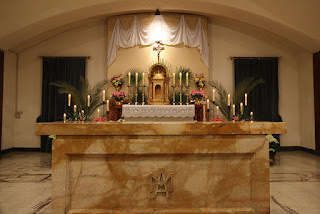 Holy Saturday is a day of quiet waiting. Felt much better so got some exercise and some studying in. 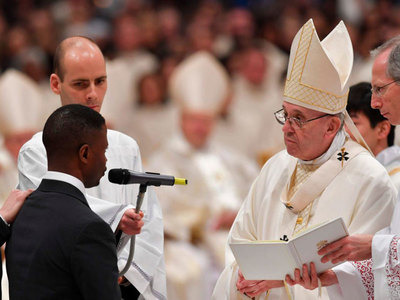 In the evening we went to the Easter Vigil with Pope Francis at St. Peter's Basilica. 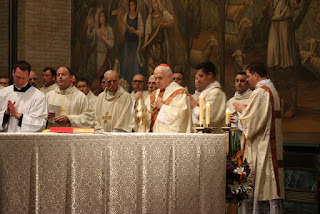 I sat with the 100-or-so other priests who also concelebrated the Mass. 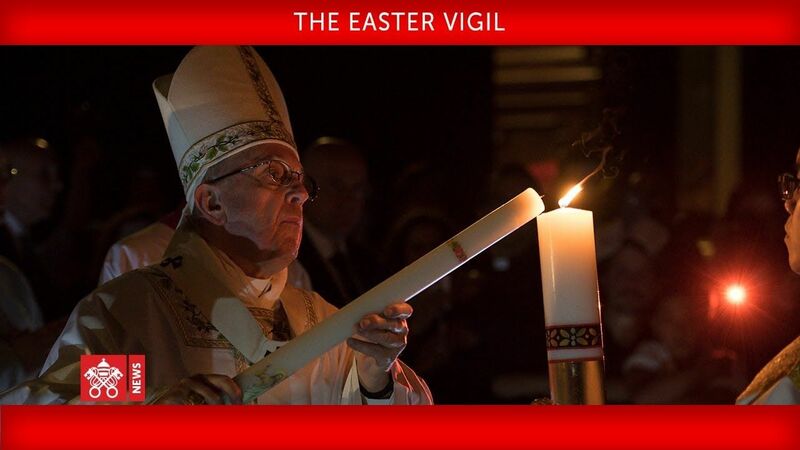 We waited in a dark basilica (strange sight) as the Holy Father light the Easter Fire just outside, under the portico. 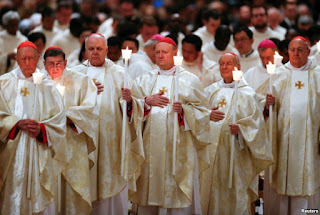 Then the Holy Father entered the Basilica as we all held candles. The Exultet was sung - the glorious song announcing the Lord's glorious victory over death. One of the great lines: "O happy fault, O necessary sin of Adam, that gained for us so great a Redeemer." 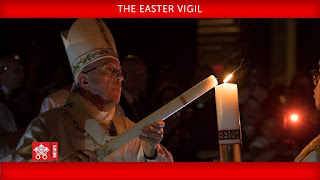 If you've never heard the Exultet sung at the Easter Vigil, you can listen to it here in Latin (not from this year) - or English. The words (in English) are here. I'll continue with Easter Sunday in my next post... and there was another surprise for me! Stay tuned! 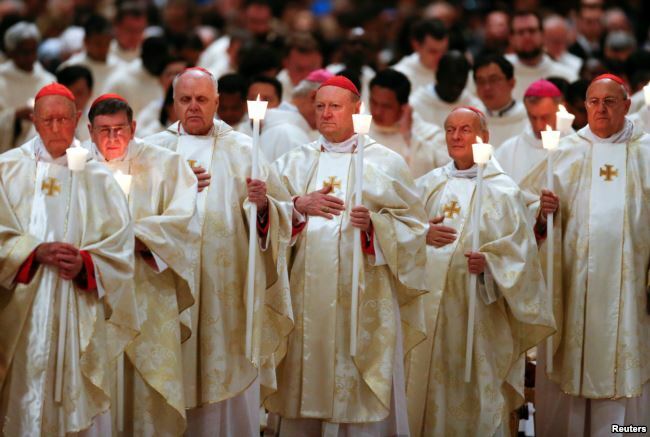 I am from the Diocese of Harrisburg, I live in Berwick. 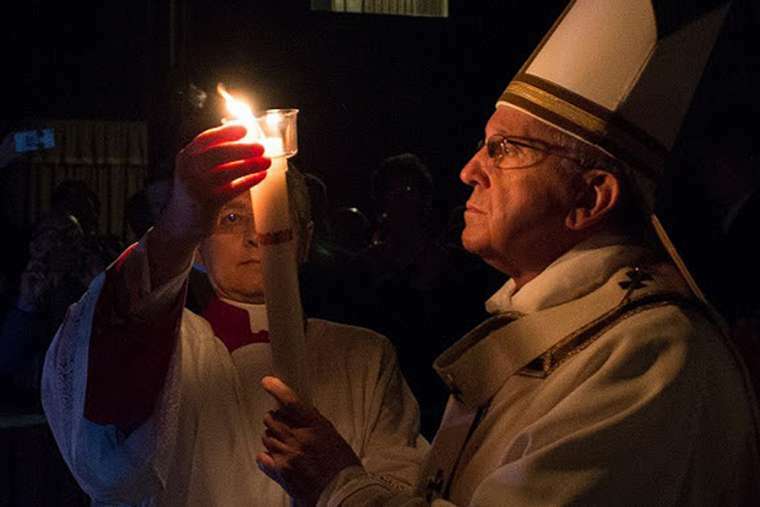 I am going to be visitng Rome at the end of May and would like to visit the Papal Tombs perferably after my Scavi tour on 5/30 in the afternoon. I was wondering if you could provide me with some information on visting the Papal Tombs in thr grottos. Thank you. Well I'm glad you already have your Scavi tickets - they are sometimes difficult to arrange. The entrance to the Papal Tombs is located inside St. Peter's Basilica - there are 4 central pillars at the transept. If you are standing in the center of them all looking at Bernini's altar - it's the one at 8 o'clock. I pray you have a wonderful pilgrimage!